The young girl you are looking to purchase a gift for is likely in the 2nd or 3rd grade. Perhaps she has the occasional sleepover. She's likely reading chapter books. 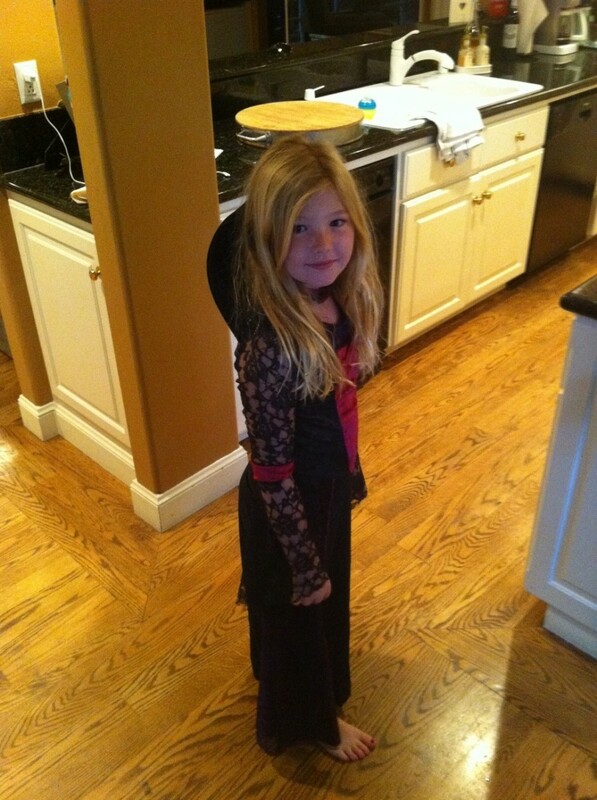 She's becoming a wizard with all things Apple and perhaps she's beginning to mix it up on the soccer pitch. She's probably a bit of all these things, but the one thing she is definitely becoming is aware of her friends and her sense of self. Finding a really great gift for a special young lady that aligns with her is really hard, isn't it? Reading the list below is your chance to find a few good gift suggestions and to help others by voting for gift ideas you like best. 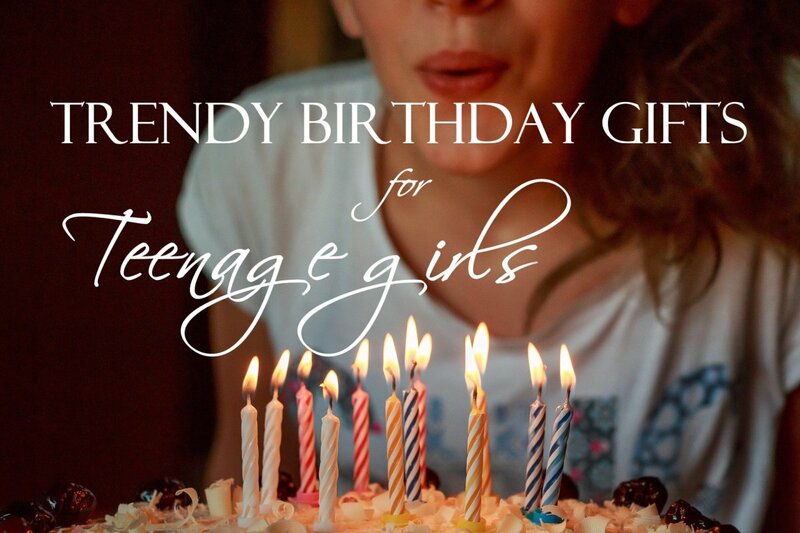 I have three young daughters that I've searched to find the perfect gift for each year. Ever since I've constructed this list, kept track of the voting, and gotten her one of the most-liked ideas, she's been happy on her birthday and Christmas with her presents. It's also worked out really well for when she needs to bring a gift to one of her friend's parties. While, at eight, whether it is for a Christmas gift or birthay gift, most gifts are geared toward the creative side (ever see how creative kids can get with duct tape), there are a few suggestions for the active, curious, and game-loving kid. Take a look at the list and remember to vote. 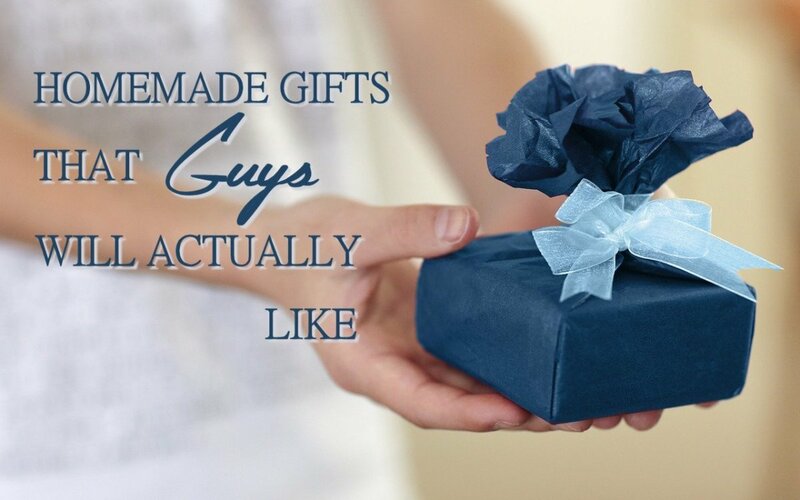 Each year, I drop the gifts with the lowest percentage of yes votes and replace them with the new gift suggestions. 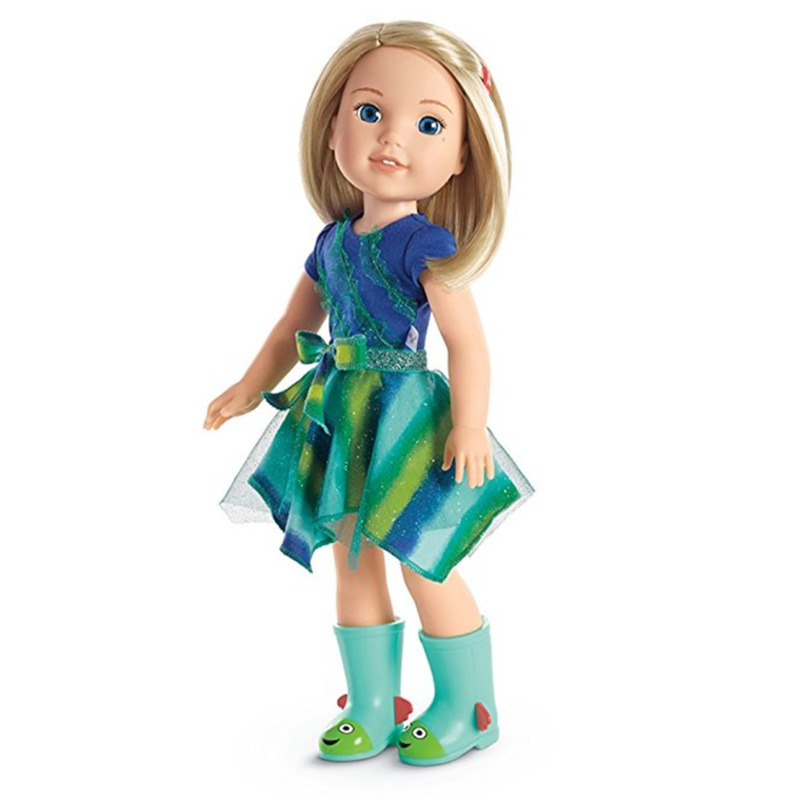 Gifts for 8-year-old girls - Most kids enjoy crafts, dress-up, and play activities from dolls to soccer. Over the last few years, I've been watching what the kids play with at school for gift ideas. In 2011, Silly Bandz had a good run with young girls. They wore them on their wrists and traded them with each other. In 2012, girls used a string to make things like cat’s cradles, witch’s brooms, and hammocks. During the day, they carried the string wrapped around their wrist, and when they had a break they played with it like crazy. In 2013, the trend was rubber-band bracelets. Girls would use kits to make them for each other and give them to friends. In 2014, arts and crafts of different kinds seemed to have become the most popular gift for young girls. In 2015, arts and crafts remain in the top spot. In 2016, arts and crafts are the most liked suggestions, while people clearly don't like ideas that suggest candy (gum ball machine) or pocket knives (Even though my own children asked for them). In 2017, arts and crafts continue to lead. Surprising that gender based gifts appear stronger (nail polish) and toys that are more gender nuetral were considered bad ideas (Nerf bow and arrow). I'd like to find some gift ideas that are tutorials or instructions to build things with industrial goods like duct tape and rope to see if people like them. As girls approach the age of eight, they start to appreciate high quality colored pencils and special paper for their creative efforts. Art supplies purchased in a kit that has lots of goodies is great, but you can also pick out items one by one and put your hand-selected kit together for her. Either way, she's likely to appreciate this present. I have to say, we got this kit for our daughter, and she's loved it. She had a choice. An art kit or an iPod and she chose the art kit. We were pleased! 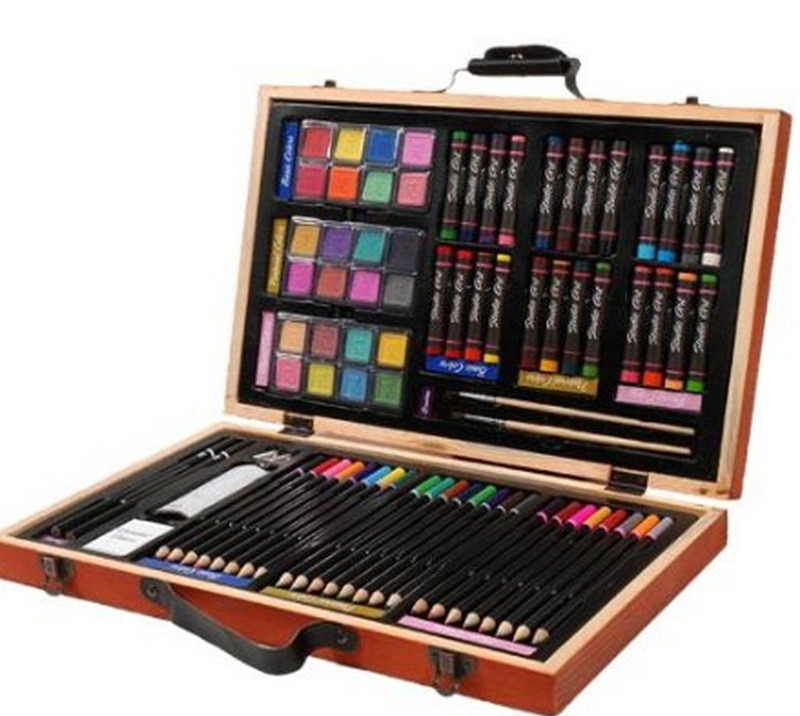 Is an art set a good gift idea for an 8 year old girl? As little kids, our girls started out with best-friend lockets. Now they want to make each other friendship bracelets. They put a lot of effort and detail into these projects. Then print out instructions online on how to make a bracelet, and they will stay busy for hours! 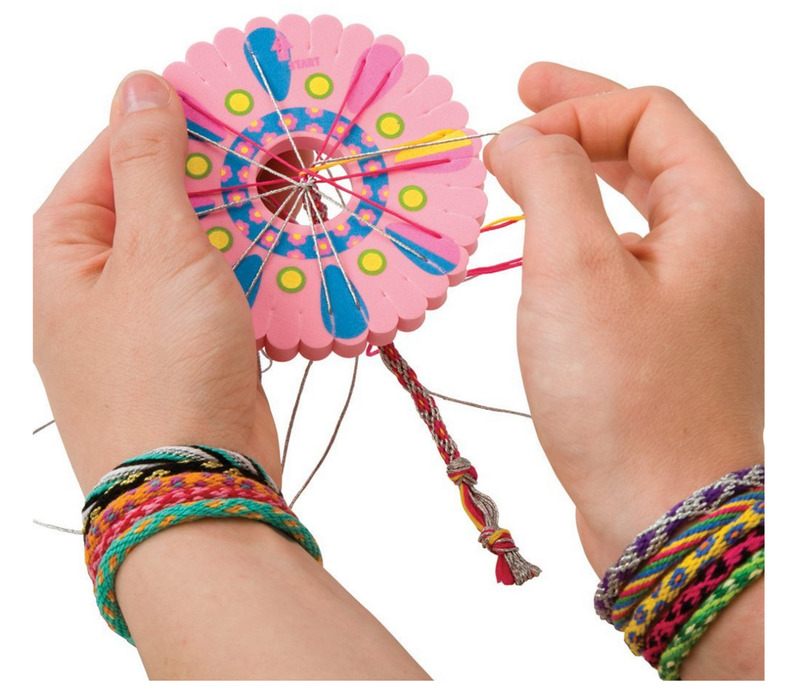 Is a friendship bracelet kit a good present idea for an 8 year old girl? Girls at eight are becoming artistic, and they can weave some pretty incredible rings, bracelets, and necklaces with a rubber-band loom. 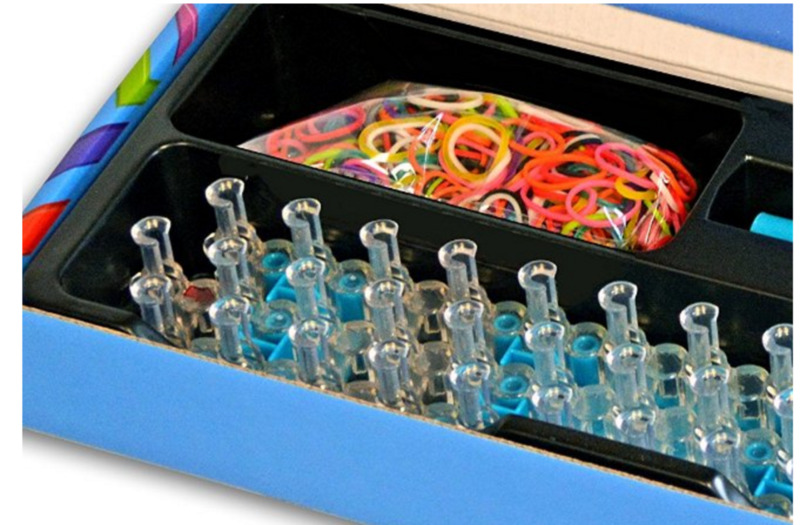 The rubber bands come in a bright assortment of colors. They can even weave the rubber bands with their fingers to make designs like fishbones. At a birthday party, we gave each girl a bag of rubber bands and the girls spent about one-hour making bracelets as a craft. The kids loved it. The only downside is these little rubber bands seem to be quite messy, but they are totally worth it because the kids love playing with them so much! 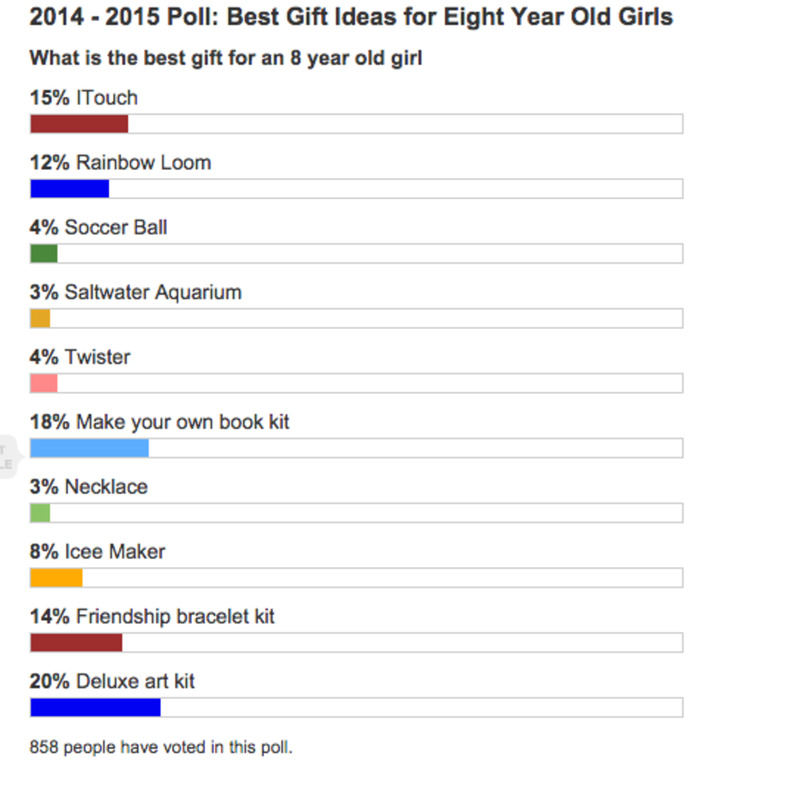 Is a Rainbow Loom a good gift for an eight year old girl? 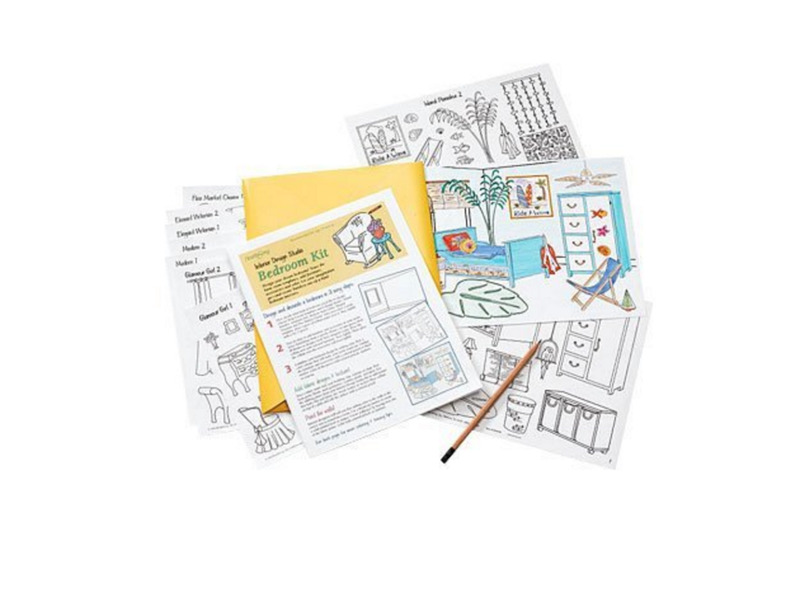 This gift idea is creative and educational: it's a kit kids use to write, illustrate and publish their self-authored book. 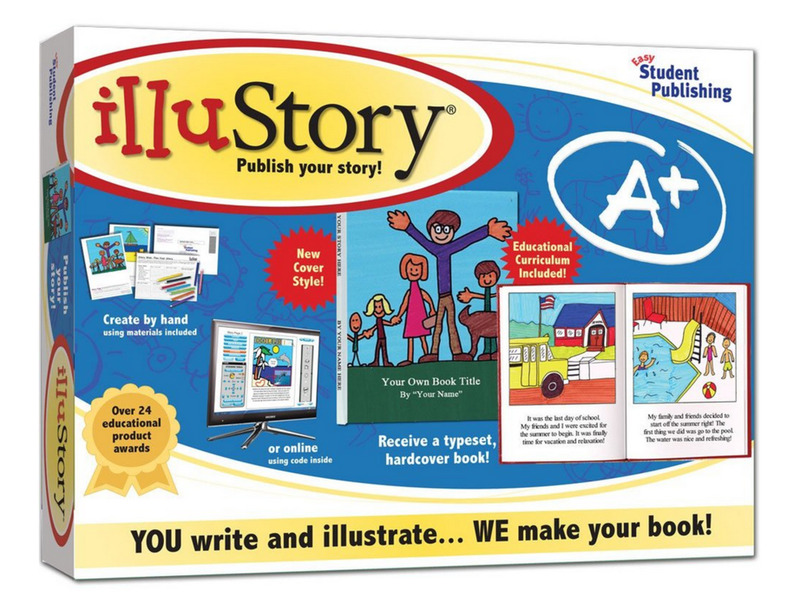 You can mail in the story to the company so they can publish it, or you can put together the book online. For the kid who likes to write and draw, this can be fun. Most second and third graders are writing stories in their classrooms, and this will help build on the writing foundation they're developing. Our daughter received this as a gift and liked it, but she also received a locking diary, and she seemed to like the diary just as much. While girls and boys love to play games on the iPod and Wii, they also enjoy some classic games like Connect 4 and Twister. I had this game as a kid, and we played it a ton with the neighborhood kids and occasionally the parents. Our daughter goes to a chess class, and we have had fun playing against each other. A gift that you can play with together is a commitment to interact with a child and spend time with them; it’s more than just, “here is something you will like.” This gift works well for boys and girls. Are classic games a good gift idea for an eight year old girl? 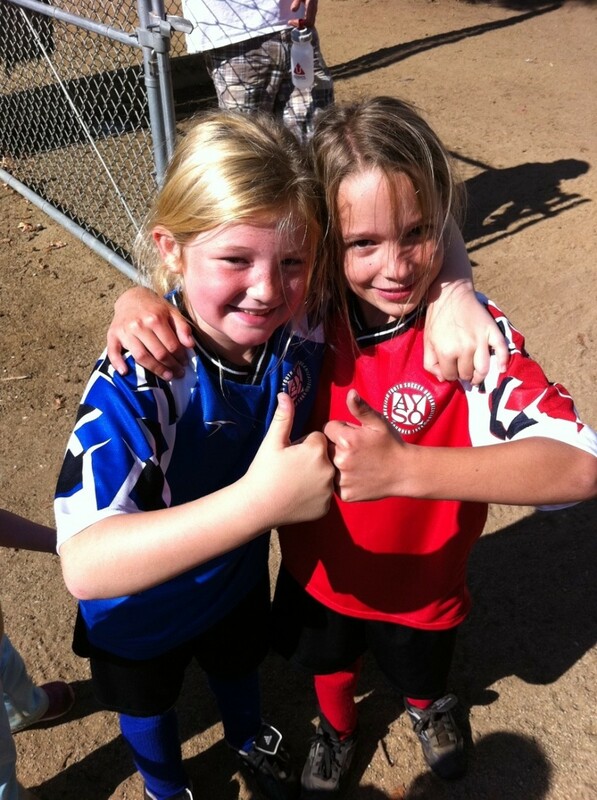 Eight-year-old girls play organized soccer. Give the gift of encouragement. Unfortunately, sports toys often go overlooked as gift ideas for girls. My daughter plays soccer and loves to kick the ball around at home. I also think she would enjoy a basketball hoop that is adjusted to a height where she could shoot and make a basket. If I was looking for a gift for an 8-year-old boy, I'd strongly consider a sports-based gift. I think it's even more important to consider them for little girls because they can be overlooked. Strongly consider gifts that support physical activity, confidence, and teamwork. These will contribute to a healthier child with a richer life. Is sports gear a good gift idea for an eight year old girl? 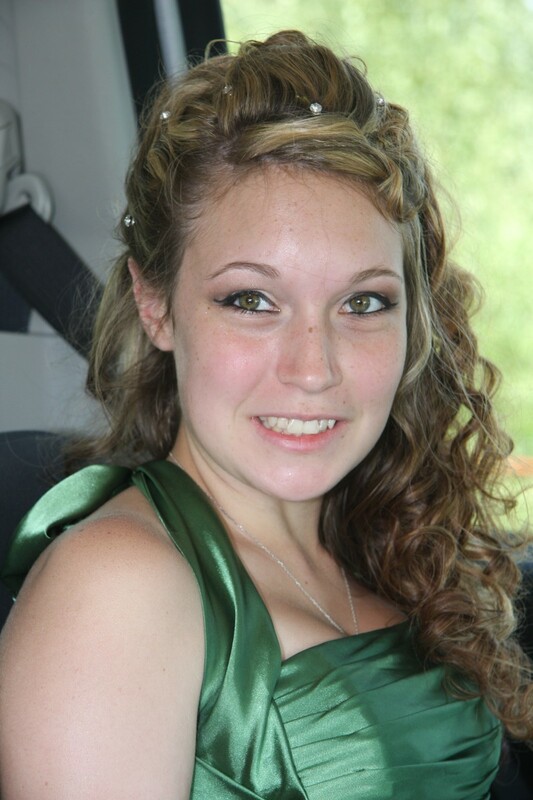 I've noticed a steady increase in how much our daughter listens to music and talks on the phone. She's asking for a cell phone, but we aren't quite ready to get her one, partly because of the monthly fee and partly because we don't think she is ready for one. 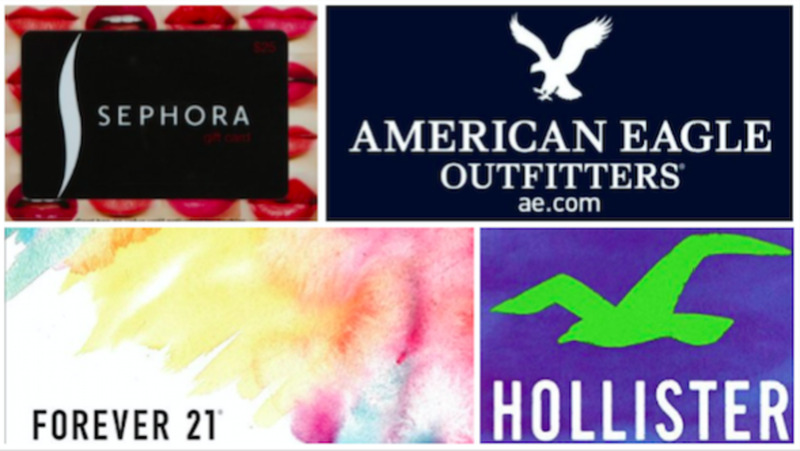 Gift givers who want to splurge can tack on a gift certificate for the App store with an iTunes card. The child can purchase apps, music and movies. iTunes gift cards may be purchased online from Apple. Our daughter got two diaries with different locking devices. One had a voice-activated password and the other a key. The construction of the electronic journal was weak, and it soon broke, but the one with a key was pretty cool. She loved them both, so I don't think you can go wrong. It's pretty clear that she enjoyed the idea of having a place to keep her secrets. 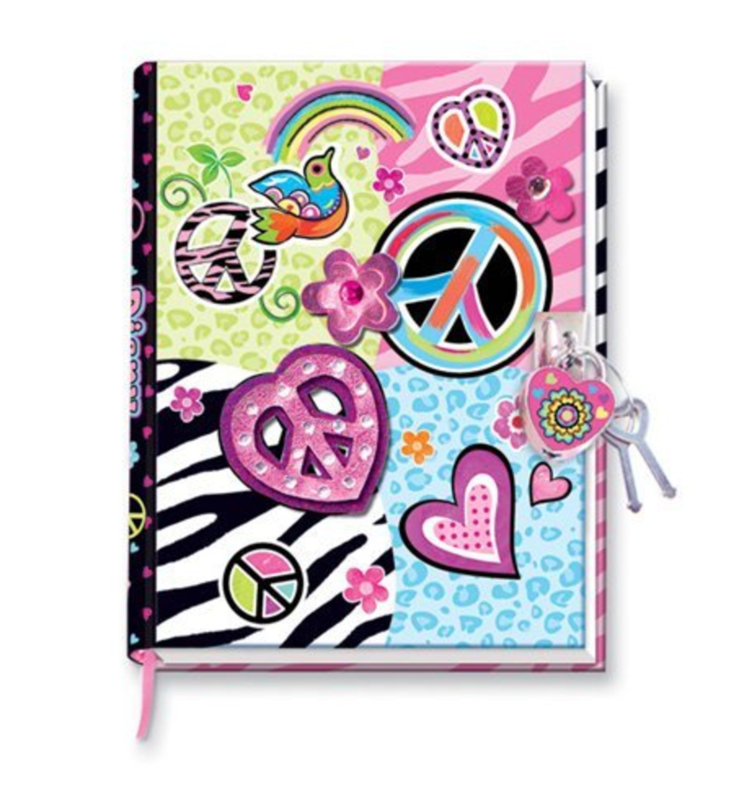 Is a locking diary a good gift for an 8 year old girl? Hearthsong makes a number of design kits for children that taps into their creative side. We had a lot of fun with our girls picking out paint colors for their rooms and letting them decide on where to put their dresser and bed. A Bedroom Interior Design Kit says for 9 and up, but our 8 yr old girl was easily able to use it and enjoy it. This is an add-on kit to the full design studio. 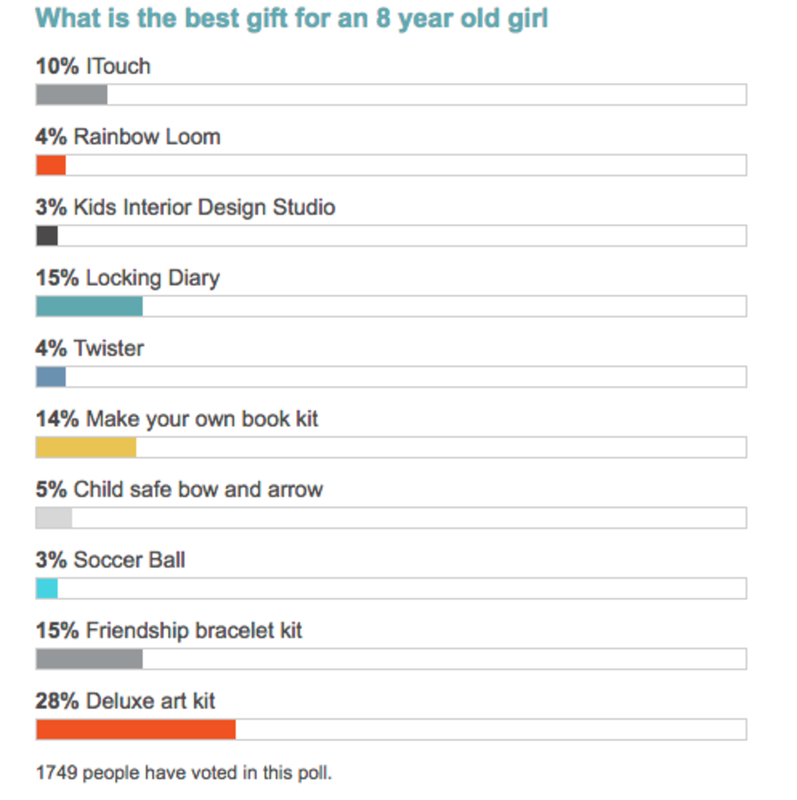 Is a kids design studio a good gift for an 8 year old girl? As a dad, I'm always a little leery of reinforcing stereotypes for my daughter, but her aunt got her a birthday gift that included this sparkling nail polish. She loved it, but it did cause a bit of trouble because she put it on unsupervised. The good news is that little kids nail polish is a lot easier to clean up. If you get her some, make sure it isn't toxic! Is nail polish a good gift idea for an 8 year old girl? This is a no mess makeup kit. It's totally imaginary. The child pretends to put makeup on with brushes, but nothing comes off the brush onto the skin. I thought it was silly, but I watched my girls play pretend for hours. So wierd, but little girls love this! The best part is that they don't make a mess! Is a pretend makeup gift a good idea? For all three of our daughters, we or their grandparents have given them an Americal Girl doll as a Christmas gift or a birthday gift. These are expensive toys, but the girls have loved them and kept them in pretty good shape over the years. At some point, the girls outgrew the dolls, but they also made great hand-me-down gifts. We received and passed on several of these and each time the kids loved getting them, even when they were used. Is an American Girl Doll a good gift? 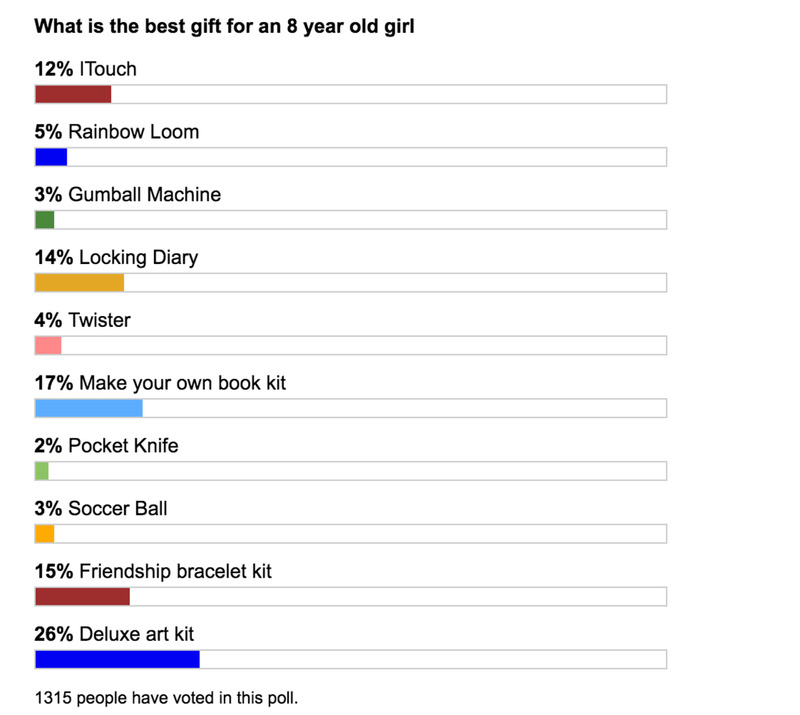 In the poll, I ran in 2013 about all ten gift ideas, about 15% of people selected an iPod Touch as the best gift for an eight-year-old girl. 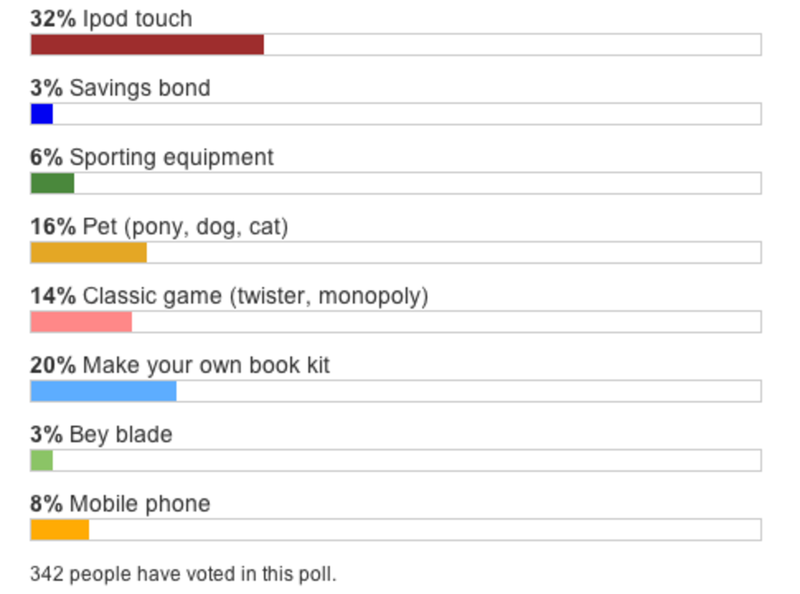 However, in the poll on the individual presents, 59% of people said an iPod Touch wasn't a good gift idea. This difference suggests that the iPod Touch is pretty polarizing. The people that think it's a good idea must also be selecting it as the best idea in the overall survey. I suspect lots of people think the iPod Touch is an imperfect gift idea, because it’s expensive, and because they don't want a child paying that much attention to an electronic device. That’s consistent with the increased popularity of arts-and-crafts gift ideas in the last few years. The make-your-own-book kit and the friendship bracelet gifts are now more attractive than the iTouch. This list of gift ideas wouldn't be complete unless we comprehensively covered a basic tutorial on creating an amazing Easter experience. Add these things to her basket and she will be delighted. Sees Candy eggs - These are really small and extra creamy chocolate eggs. Once the child has her basket, have her hunt these tasty treats! Pez - I'm not sure why, but I'm pretty sure that a Pez dispenser with some candy cartridges would make my daughter happy all by itself. Chocolate Bunny - My suggestion is to go smaller and higher quality chocolate. Little ones love them! Tradition - Add your favorite treat to her basket and tell her the story of how much you loved it as a kid. The story is probably more fun for her than the candy. I've done this with my kids and they LOVE it! Money Egg - It doesn't have to be money, but putting a small gift into a plastic egg can be the perfect balance to a basket filled with sugar. I know, kids get enough sweets. Everyone would love a few ideas without the sugar! Stuffed bunny - Every year we give our daughters a stuffed fluffy bunny, then a few days after Easter, we collect them and put them away for the next year. It's a family tradition now that just sort of started on its own. Earrings - Not all kids have their ears pierced, but some small earrings have been a favorite. Easter Dress and Shoes - Nothing is cuter than a little girl in an Easter dress and shiny shoes. If she's the type of child that likes frills, now is the time! Colored Eggs - I'm always afraid we are going to lose an egg in the house if we hide them, so the night before we color them and then we put one or two in the baskets and only hide the plastic eggs that won't smell so bad if nobody finds them. Movie Passes - Not sure why, but we've gone to the movies a few times on Easter. The theatre is usually empty and it's a really nice time with the kids! 2013 - 2014 poll results. See how the gift trends have changed. Do 8-year-olds like gifts for the outdoors? Some kids love gifts that can be used outdoors from bug catching kits to sporting equipment and kites. It just depends on the kid. A lot of girls like craft supplies. I think the iPod is a great gift idea. Music has always been a huge aspect of our lives and listening to music is something that you can certainly do while crafting. i think these are some pretty good ideas but my little sis probably won't like most of the stuff, exept maybe the colering stuff! It really helped. My cousin is 8 years old and i didn't know what to get her. but now she is happy with her new bracelet kit. This is a great list - thank you! I update this every year. I feel like the list is pretty good now with a little something for every type of child. It continues to become more arts and craft based because I keep hearing from readers those are the ideas they prefer. @Daniel, I'd love to hear what your daughter wants. I find the pocket knife idea kind of funny now. People send me emails and ask questions about it all the time. I showed this to a few other kids and they all wanted it as well (just to make sure the idea isn't completely nuts). I think it's a really good idea to go through this page with the child. Sometimes what they want is a little unexpected. I just went through this list with my soon to be 8 year old daughter. The only thing she liked that she didn't already have was the pocket knife! I know it's not a typical idea, but our 8 year old loves the idea so I included it for this year. So far, it doesn't look that popular. Instead of an iPod Touch, I would recommend just a small mp3 player. And why a pocket knife? That is one of the last things I would give a 8 year old boy, let alone a girl. But, that's just my opinion. Here are a few things you might want to consider adding that our 8 year old likes: hair chalk and hair accessories, the game Sleeping Queens, an origami kit, movie and dinner with no siblings or with just her friend, earrings if her ears are pierced, Beanie Boos (stuffed animal). This list is perfect! I was trying to come up with some last minute fillers for under the tree and got some great ideas here. She will be so excited about Illustory. It's like you wrote this list for her! I love this article. Everything addressed is true. My daughters are older now yet, they still love all of the items listed. And I love the World Pride Green Crystal Swan Pendant Necklace Earrings Jewelry Set, adding this to my Christmas list! Thanks! Voted up! & Tweeted Out! well, geeze. i'm sort of stuck. both my 8 and 11 year old granddaughters got new i-phone 4s's this fall and they both got kindles last year for christmas. their mom won't let them sign up for sports or have pets. 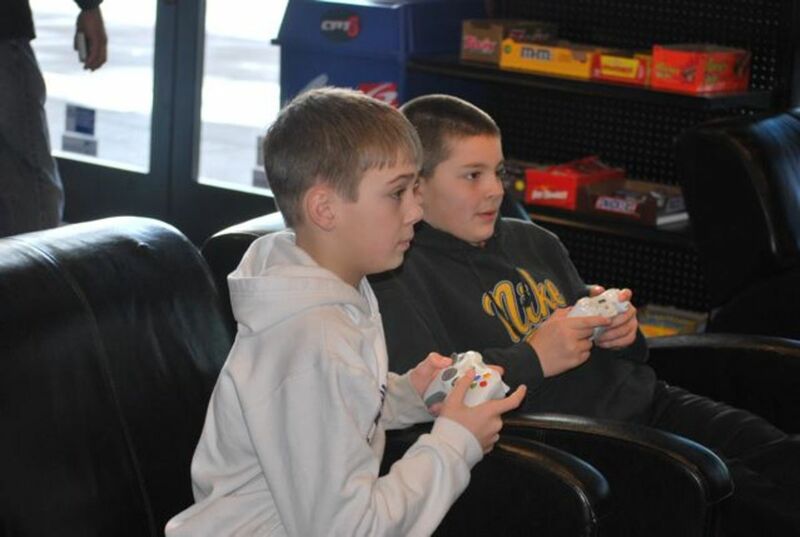 they come to my house every other weekend and have lots of board games as well as cards that we play...a wii, ps2 . we go geocaching and hiking with the girls and they have all their own equipment. my oldest is easy to buy for . last year she got a tool chest and this year will be a pink tool belt. it's the 8 yr old that's presenting the problem. she loves make-up and clothes, but already has a full compliment at her mom's. help! The itouch does still seem like the top gift, although I'm considering getting our 8 year-old daughter an iPad so it's not quite as easy for her to take it with her, but a bit better for reading digital books. Bought my 7 and 9 year old nieces ipod touches last year and it was the best gift possible, the only negative is it was almost $500 for the two but they absolutely love them, did not care about any of the other gifts they got... they still go out on their bikes and swimming and do other things but they say that was the best gifts they have ever received. The year before it was all about the Nintendo DS which was also not cheap- this year they have no big gift requests because they are still all about their ipods, I was amazed that it has held their attention this long honestly but very happy, money well spent!... all they want this year is monster high stuff! Since my daughter is turning 8 this year, I updated it with some of the ideas on her gift list....8 is such a great age! For my 8 year old granddaughter I bought one of those hat boxes that have all kinds of areas to store jewelry and it has a layer inside. Actually, it wasn't a hat box, but like a vintage train case look with flowers on it. You find them everywhere for photos and stuff like that. Well anyway, I filled it with all kinds of fun jewelry, lipgloss, note pads, a feather pen, candy, compact mirror, brush, amything i could fit in. She ABsolutely loved it! I am 8 and almost 9 and what I really really want is a phone. But, I, personally don't think that I am ready for an iPhone. I think that since I am young, and have not had any experience with my own phone, I should have maybe an AT&T or T.mobile or maybe sprint. I don't want an iPod touch because Santa gave an ipad to the whole family for christmas this year. What kind of phone do you think I should have? I can't believe how fast technology is catching up, younger and younger technology is influencing kids. Eight is a little young to ask for anything like an iPod. I think you should go for experience ver material presents. Take her to the aquarium or the zoo. Let her bring a friend. Take her ice skating for the very first time. Toys come and go, but experiences aren't something you'll regret spending your $$$ on. I don't have children but I have my friends kids I enjoy spoiling. If I give them jewelry, it's most likely a tangled mess on the floor or a game they will never play. Quality time with them isn't like it used to be when they were younger & wanted to spend time with you. So, this year I gave a kid what they love...candy! Yep, 15 large boxes you can get at the Dollar Store, what better idea, it's the perfect gift that will make them happy, it'll fit and make it...well, memorable if not for the child, the parents. Get some leave then pack and go on vacation with your kids! A beach moment, nature tripping perhaps, name it! They will surely love not just the idea of having a grand vacation but the thought that you make an effort to spend the days with them! That's a priceless gift I guess! @Billy, If they have access to a computer, you can skype with them to talk and see video. That might be a better gift than a prepaid mobile phone. Although, if my grandkids didn't have the ability to call me from a home or parents phone then I would get them something. One of the best gifts is talking and spending time with young kids. I have a 5-6 year old granddaughters, I want to buy them a cell phone with pre paid min so they can call once a month. Is this a good gift to send? You'll have to come back and tell us what you got for her! I do like the idea of sports stuff if she like to stay active, plus it's great fun to shoot hoops with Mom/Dad, family/friends, or even alone. I would hold off on Ipods, etc. as long as possible.. she'll soon hit the age where it is 'glued' to her hand. Beautiful hub that i believe was written out of experience,thanks for sharing. I will revisit this page when the birthday of my 3 year old kid sister approaches. A pony is a tall order for some parents in these days of recession and if you live in a city but how about a little girl manicure at a local nail salon. They do some beautiful nail art with gems and air brushing. Your 8 year old girl will love it! Good informaiton. I will definitely use this. I love it! Gift ideas get more difficult as kids get out of the younger age group. You know, leasing a horse is always an option. Some people even own part of a horse: sort of like a horse time-share (the horse is cared for by a boarding stable). There are options out there (and I'm still vying for a pony, lol)! Delightful hub and great photos. Thank you Paul for the ideas. I always know what my sons likebut not so much for daughter. This is a graet guide. 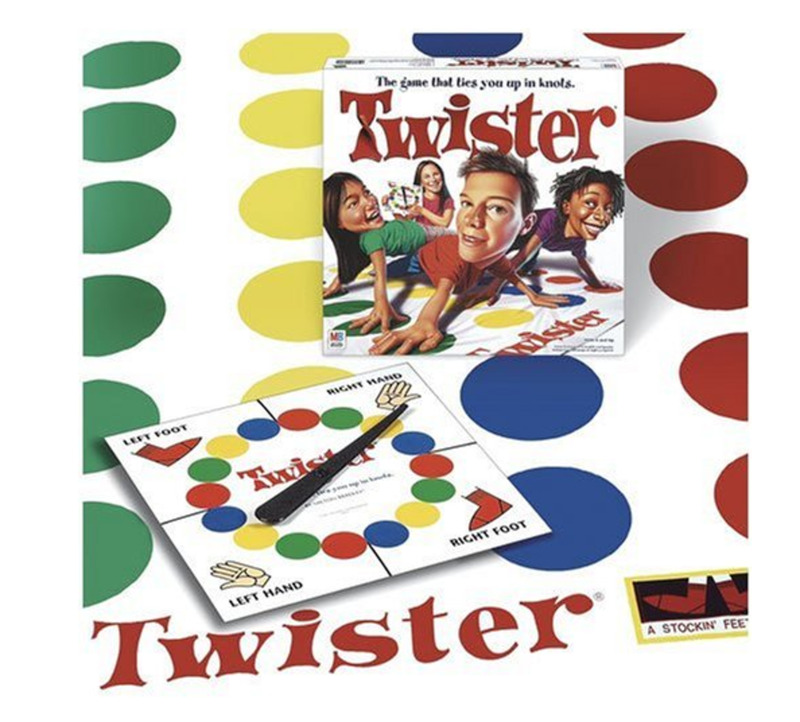 Hey you inspired me, we went out and bought twister for my 8 year old for Christmas - what a great idea, fun for us all (even my 4 year old daughter has been playing, though she can barely reach!). Thanks again. Eight year old boys are hard too - whereas yeah, my 4-year-old girl? no problem. Some nice ideas here though, thanks. Girls have different preference when it comes to toys and other stuff. But I like your selections, maybe I'll consider some of those to give to my relatives. Interesting Hub!I have an 8 year old in my life. Her interests are hard to keep up with. Right now she is very much into her dolls and doll houses. Out of the blue she wanted a camera. Its interesting what will end up under the tree. Thank you for your creative selections and ideas. We have an eight year old girl too and I am always looking for good gift ideas. Last year we made her a book dedicated to Knock Knock jokes because she was always trying to invent them. She carried the book around and laughed for days. It took a lot of our research to find really good jokes but we found a lot of them. I have been trying to find a gift for the neighbour girl. This hub helps me a lot. Thanks! I have an 8 year old daughter myself, so this one caught my eye! I would POUNCE on the pony request, if only... Well, one of these days. In the mean time, she was content with a great PC game where you learn all aspects of horse care, breeding, competition, riding, etc. in a very realistic setting. It's called Petz Horsez 2... (Her #1 request was a real pony, but we live in something very closely resembling a horse TRAILER...lol). It also enhances her computer skills! Great hub, great pictures! It's so hard to believe you are considering an iPod for this age. Get her things (basketball, soccer, active games to encourage activity- and take her horseback riding with friends. Postpone the time when she's exposed to personal electroninc devices. hi Paul, great hubcamp! Had to read this hub of yours and your daughter is so cute. I have a 7 year old daughter and I would say that she is into the whole craft thing, so the book idea is great! When i was 8, i was interested in stuffed animals and crafts. I think an i touch is a little to much for someone so young. Maybe start her off with a ipod nano or something. Its an ipod but doesn't get access to the internet so it would be a great start off to an older more mature gift. I would get her the soccerball. 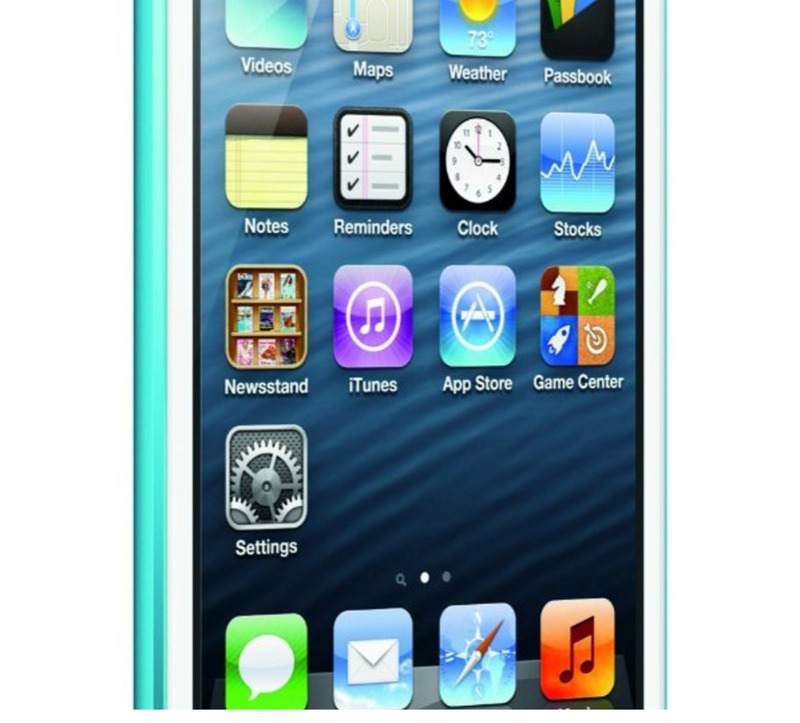 An iPod touch would have to be regulated to ensure an 8 year old's internet safety. These are really great ideas for 8 year old girl but I think giving teddybear or choclates also a good gift. My daughter will be 8 in February and she wants an iTouch. Yeah... I do too! 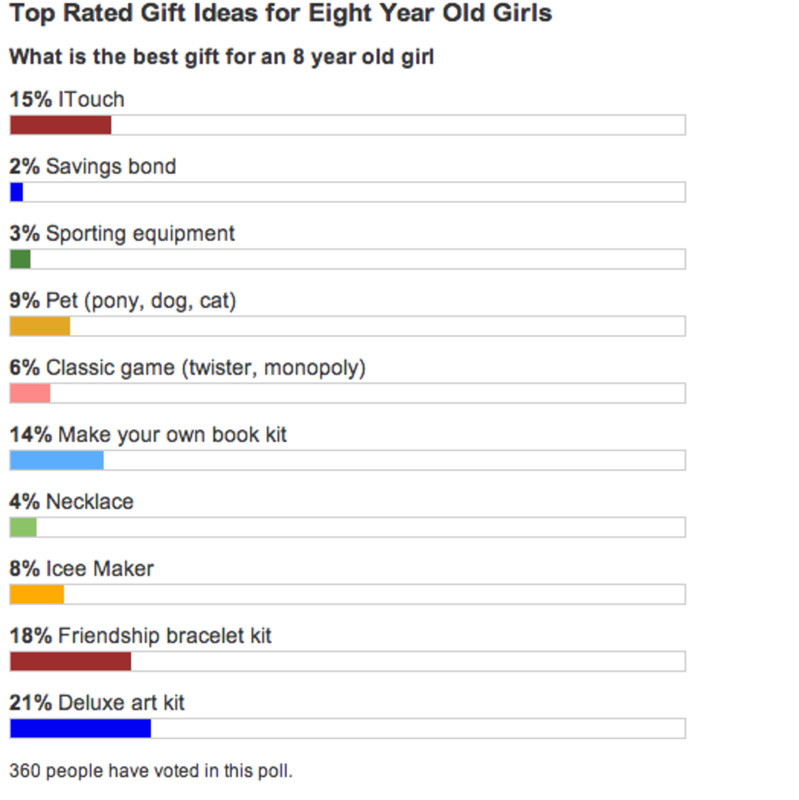 Some nice gift ideas for 8 year old girls - it is amazing the things they ask for sometimes! Riding her bike,as My baby too. Girls and horses go together whether in the city or out in the country. Why not riding lessons? Klutz kits can also be a winner with the 8 and overcrowd. Why not an inexpensive camera sans the phone. My 7.5 year-old LOVES the camera. Thankfully it doesn't cost to develop all those out of focus snap shots of the cat. Happy B-Day. Hi thank you so much for sharing this hub. Myb children are now all grown up but there's the grandchildren now and Their tastes have changed so much since their mums and dads were this age. One point is certain wherever we live in that sport products are advertised more with boys in mind!! When my grandaughters come over they love a pencil case full of crayons and paper. I am sure that many will benefit from reading this and I am handing it on to my families. Take care Paul and I am now looking forward to reading more of your work. Hi Paul: I've been around Hubpages writing poetry for two years. I have four grown daughters and never knew what to get them... ever. I was always wrong and totally gave up and let my wife make all the decisions. This was before the internet entered my life. I am only now interested in how to write a hub that sells something. Yours is easy reading and a good template for me as to what to do. Thanks for a nice hub. Cheers. These days it must be really hard to get the right balance but you wrote an excellent hub. Memories. Money, or possessions cannot replace what you are experiencing. I know you are enjoying the process. The innocence of children are the magic that gives us the impetus to strive to be a better person... Thanks! Thanks for helping parents know how well to treat and train up their Kids. But sometimes its difficult to know from kids what is best for them since they lack the ability to take the right and wise decision. I'd agree with you that they start to dress up a little more at that age. You're also spot on with the bike riding and board games. I took a photo while she was riding and she showed me the one-hand "woo-hoo", "Look at me" trick. Well Happy Birthday ahead of time to precious Georgia!! I love all your ideas!! And the comments above certainly bode well for the horse!! I imagine sweet Georgia reads her Dad's Hubs regularly?? As an author/publisher, I love any idea that includes her writing and illustrating her own book!! Maybe one about her 8th Birthday Adventure with horses!?? You guys are GREAT parents!! There is absolutely nothing that teaches a young girl more about life, responsibility, love, independence, and maturity than a horse. We live in the country and the girls involved in the 4H horse group are the most awesome girls in the county. Do it! Most people can't because it is expensive. But with the resources, there is little else that compares. You can easily lease a horse and look toward future ownership. This makes the commitment a little more palatable. It is done here all the time. Lease for 6 months, then decide. I like all the other ideas here too. If you ever do live on a ranch, totally go for the horse! We got two this year, and two of my daughters really have taken to them! I love!!! You did a great job! Thank you!! 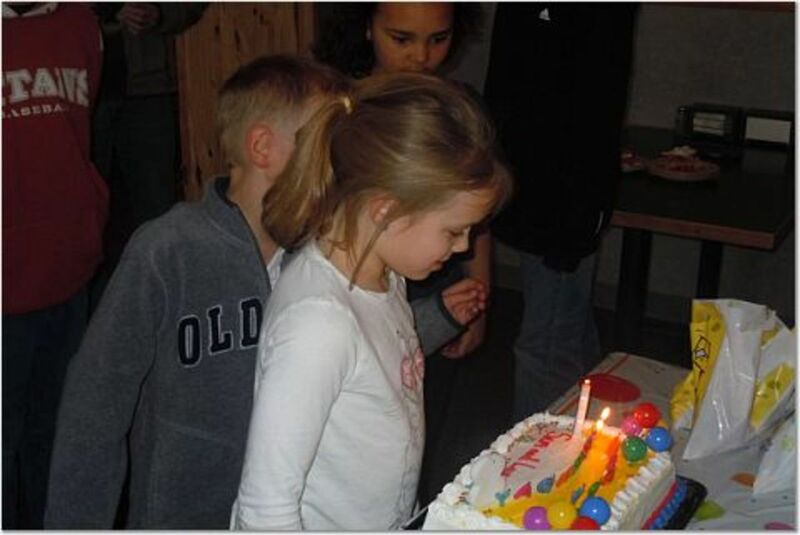 For a birthday party idea, that is a really good idea to take her with a few friends horseback riding. She would love that. How about something that links to the horse? Like a horseback riding birthday party where she can invite some of her friends to go horseback riding? There must be some stables near where you live. What about a week at a dude ranch for a whole family vacation that would have a lot of horses? This could be for all of the girls' birthdays.